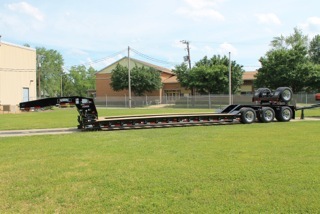 Albion PA – This year marks Rogers Brothers Corporation’s 110 years in continuous operation with more than 100 years of that time devoted to building durable, high performance lowbed trailers. Only one in ten thousand businesses manages to last 100 years. Even more remarkable is the fact that ROGERS® is still owned by the founding family. 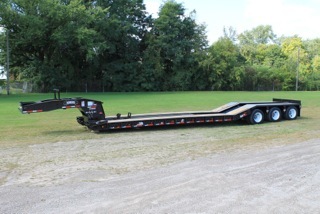 Each new generation brings improvements and innovations to the design and manufacture of ROGERS® trailers. Jay Kulyk, Nick Kulyk and Beth Hough, fourth generation of the Rogers family, are leading the company into their next century as President, Vice President and Secretary respectively. Larry and Mark Kulyk, grandsons of founder Louis Rogers, attribute the company’s longevity to family pride. “Each trailer that leaves the factory has our family name on it,” says Mark, “we want quality and durability to be associated with that name.” Larry continues in his position as Treasurer of Rogers Brothers Corp. and, although Mark has retired as President, he continues to serve as a consultant. With customers in 65 countries on five continents, Rogers trailers have literally circled the globe demonstrating their superior quality, reliability and dependability. 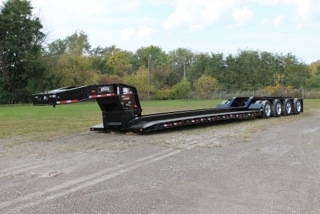 Customers can choose from: severe-duty or lightweight models for off- or on-road use: hundreds of custom designs or "ready-to-ship" standard models; fixed or detachable gooseneck styles; front or rear loading. The list of options is extensive. Rogers latest trailer designs can be seen on their new interactive Web Site, which has been launched as part of their anniversary celebration. Visit www.rogerstrailers.com to see samples of Construction, Mining and Dedicated use trailers; video presentations; examples of available design features; or to request a quote. ROGERS® . . . The Ultimate in Trailers® Since 1905. 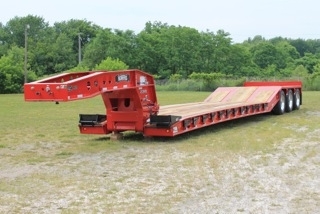 Photo caption: Rogers Brothers Corporation has been designing and manufacturing high performance lowbed semi-trailers with capacities ranging from 20 tons to over 100 tons for nearly 110 years. Custom-engineered trailers are designed to meet the needs of the transportation, oil, gas, steel, mining, utility and heavy-haul industries.